The End Was Not the End: Post-Apocalyptic Fantasy Tales (What a title, huh?) 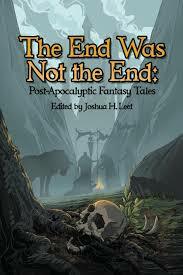 edited by Joshua H. Leet, is an anthology of stories having to do with desolate wastelands and fallen lands. Each has to do with what happens before the hero or heroine savse all civilization. A very interesting concept, I might add, and one that made me desperately want to read this. There are eleven stories in all, so I thought I might give a line or two explaining giving my reviews of each seperate story. Then, at the end, I will give my rating for the collaboration as a whole. The Halls of War by DeeDee Davies - Wonderful start. Very reminiscent of the mythological world of the gods. Blood and Fire by Desmond Reddick - Two different POVs. Confused me slighly when going from one POV to the other, but overall very well-written. Make Way for Utopia by Scott M. Sandridge - Loved this immensely. Whimsical, magical, heartbreaking. Amazing tale. The Twenty Year Plan by Jay Wilburn - An unknown force stalking its prey. A group sent to explore the wide world. An ending you wouldn't believe. Nightmares and Dragonscapes by Mandi M. Lynch- A girl destined to save what was once thought to be lost. Beautiful. The Stone Sword by Magda Knight - Very, very sad story. The heroine is so strong considering her circumstances, and I loved her for that strength from the beginning. In the Hills Beyond Twilight by William Ransom - The ending to this one surprised me. It was intriguing and strange, and I couldn't help but enjoy it. Blade of Fire by Steven S. Long - I feel that this particular one could be much more than a mere story. I feel that this is the prequel to a book I would definitely read. 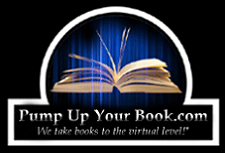 Waist Deep by Bill Blume - This story, to me, is the most unusual out of all the tales. There are really no words that can describe how much I liked it. Ben by Darra L. Hofman- The main character's inward conflict about not wanting to turn into the people he once knew was so real. This story had a strong emotional element to it, along with the physical journey the character must take. Story's End by Nathen Gallagher - A very appropriate ending. This gave me a ray of hope, as if all the other characters in all the other stories really did suffer what they did for a reason. To bring humanity back to what it once was. Overall, I loved this. It brought me to different worlds and experiences, different characters and situations. The introduction by Joseph Leet was just as powerful as the stories themselves, and I recommend that anybody who reads this anthology should read it first. The stories themselves were unique in their own ways. I have to give this a 4 out of 5, and must shout from the rooftops that it is a breathtaking read. Thanks for the review, and for the kind words regarding my story (Story's End)! 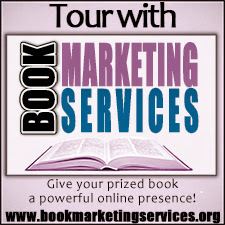 I'm glad you enjoyed it, and that you enjoyed the book as a whole as well.